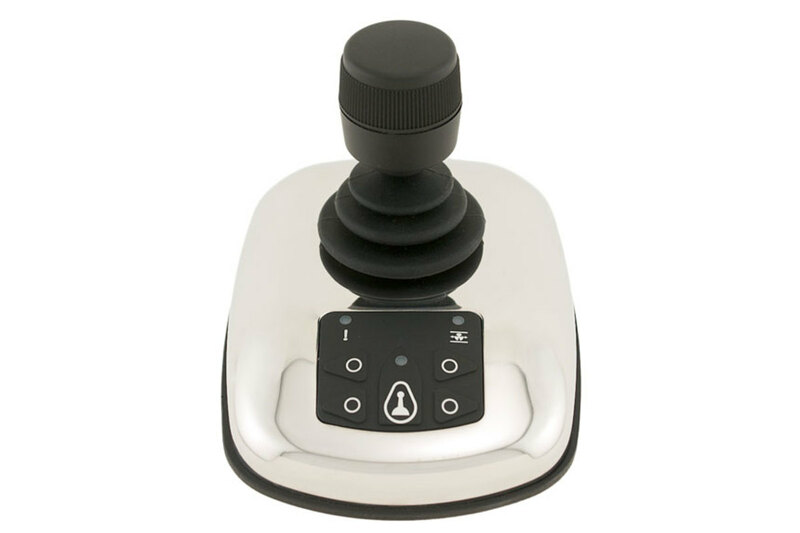 Glendinning’s ProPilot joystick control lets an operator control the engine propulsion and bow or stern thruster with a straightforward interface. Visitors to the Progressive Miami International Boat Show at the Miami Marine Stadium on Virginia Key will have the chance to see for themselves at the Glendinning booth (#317) in Tent E.
ProPilot can be added to most existing Glendinning control systems with inboard propulsion and bow thruster packages, or with bow and stern thrusters. It’s also compatible with mechanically or electronically controlled engine or transmission with or without trolling valves. It’s designed to work with all thruster brands and types, including electric, hydraulic, single speed or proportional. A dynamic positioning/automatic station keeping feature is available for suitable propulsion and thruster systems.